Seiko Prospex Challenge 2017 event in New York features the brand’s entire dive watch series. 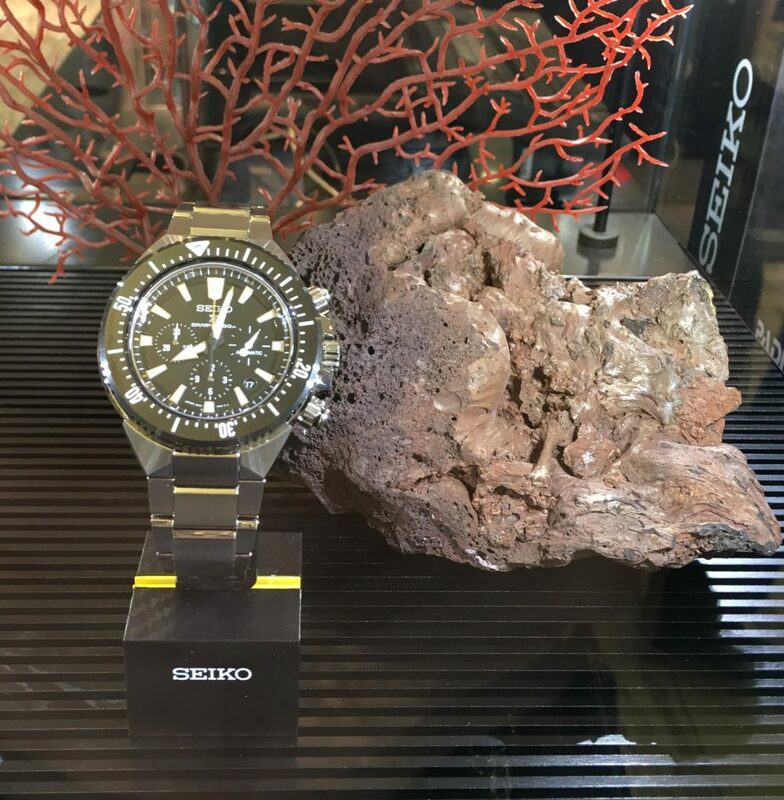 Recently in New York City, Seiko and the Prospex Challenge 2017 exhibit made a real splash. Focusing on Seiko Prospex dive watches throughout the years, the exhibit opened with a wave of enthusiasm, and even attracted Fabien Cousteau. In 1965 Seiko launched its very first divers watch. Since then, Seiko has continued to grow as the most reliable brand in dive watches. The Seiko Prospex diver’s watch collection incorporates all of the technologies, materials and special features needed for a diver to remain safe in the water. 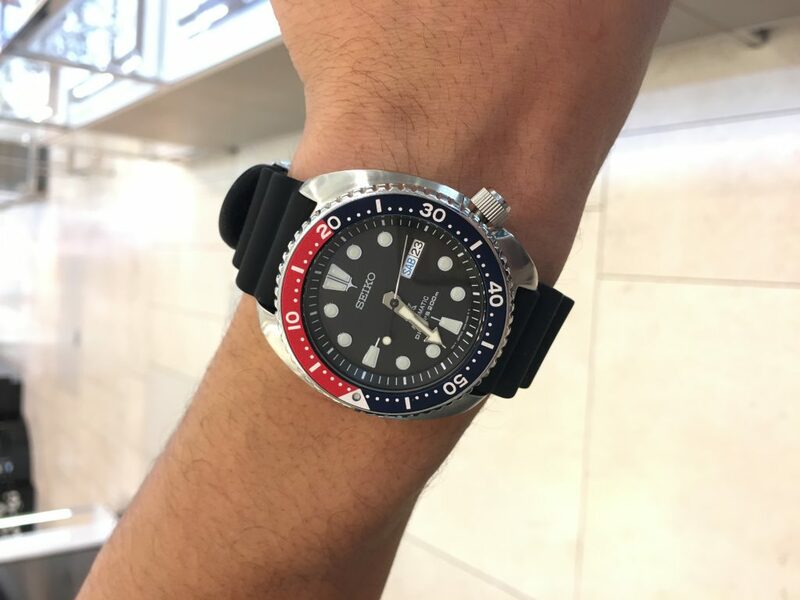 The Prospex Challenge 2017 is a worldwide series of exhibitions featuring Seiko Prospex watches throughout the years and the unique attributes, which made them better suited for life underwater. 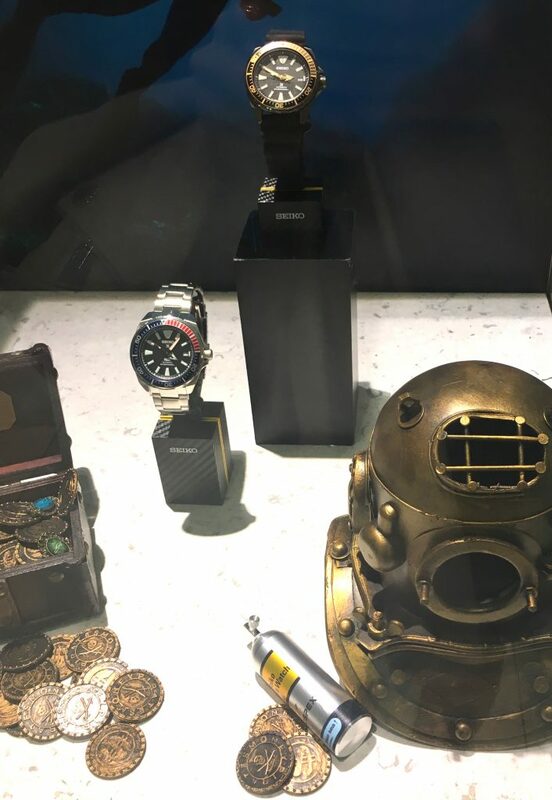 During the brands most recent New York event, Seiko held a dive themed evening in Macy’s Herald Square. The event began with a flash mob outside on the streets of New York City. Seemingly normal citizens walking with Macy’s bags met in the center of the street. Each individual proceeded to stop and begin stripping. Underneath, they were dressed in full wetsuits. Each individual continued to put on flippers, snorkels, and a scuba mask and then freeze in position while looking down at their Seiko Prospex watch. Hordes of New Yorkers gathered round to watch the unique display. Following this intriguing gathering, guests met in the Watch Department of Macy’s and were offered the opportunity to meet world famous aquanaut and ocean conservationist Fabien Cousteau. Fabien Cousteau is the grandson of world-renowned scientist Jacques Cousteau, who set a world record back in 1963 when he lived underwater below the Red Sea for 30 days. Fabien has since followed in his grandfather’s footsteps dedicating his life to studying the underwater world – even living underwater for 31 days in tribute to the work and history of his grandfather. Fabien Cousteau talks about Seiko and why he wears the Seiko Prospex watch. I wear a Seiko MarineMaster Prospex SBBN025 Professional 1000 Metre Divers Watch when I Dive. I work as a Professional Diver of where I need a watch that is water and pressure proof and can be used for Mixed Gas Saturation Diving, this watch does it for me it is hard wearing, robust, a real work horse. I don’t go anywhere without my Seiko MarineMaster.